The importance of air inlets is often underestimated. 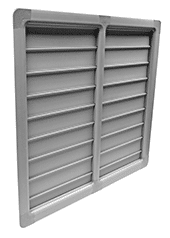 The air inlet is the most important part of every ventilation system. 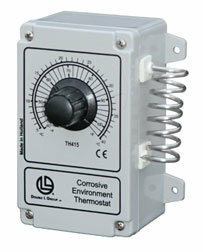 Without proper air inlets, no ventilation system can function satisfactorily. Air inlets are responsible for providing fresh air throughout poultry house and for maintaining a fast inlet air velocity so that good air mixing occurs, providing adequate air circulation. 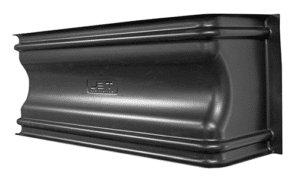 The poultry inlets offered by Double L help to keep your air clean, lower your heating costs, and improve litter quality. For proper inlet management, it is important to understand all the factors that determine whether ventilation will be effective or not. House tightness, operating static pressure, number of minimum ventilation fans, to be used, proper number of air inlets that should be used, and fan run time all play a role in determining what type of growing conditions will be in the poultry house. Double L Attic Inlets are structured to take warm air from the attic to heat the living area of the poultry house. Ceiling inlets in colder climates are a great tool. During the coldest days of the year, ceiling inlets are used to bring in warm air from the attic and disperse it into the poultry house. Ceiling inlets are installed in a prime location inside the house where there is not a large temperature difference on either side of the inlet. This is an advantage because the grower doesn't have to stress about inlets freezing up on the coldest days. 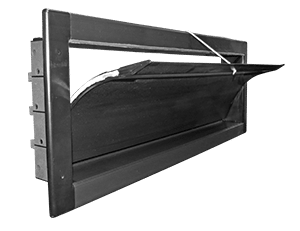 Double L Wall Inlets are designed to direct fresh air along the poultry house ceiling to the peak for effective air mixing. Air entering through properly designed sidewall inlets will allow the air jet to attach to the ceiling, travel along the ceiling until it makes it to the center of the poultry house, and gently moves down towards the floor. 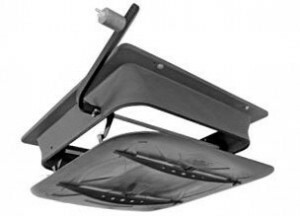 It is essential to maximize the travel distance along the ceiling so the cool incoming air will be sufficiently heated by the warm air collecting at the ceiling. As the poultry industry is evolving, house design and construction are evolving too. The basic principles of about ideal air mixing become more difficult to achieve in the wider poultry houses (larger than 60 foot wide) without the correct equipment. The European sidewall inlet with the curved blade is the ideal design to achieve complete air mixing in poultry houses. 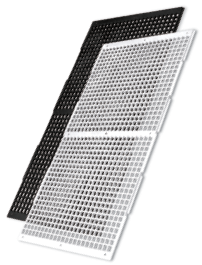 DirectAire European Sidewall Inlets have a curved blade design that is the ideal design to achieve complete air mixing even in wider poultry houses. The curved blade helps direct more air across the ceiling and creates an efficient air jet that will reach the center of these wider houses with ease. To reduce light from entering through the sidewall inlets, hoods or wind deflectors need to be installed over each wall inlet. The Wind / Sun Deflector is a poultry hood for DirectAire Inlets that has been proven to be the most efficient poultry hood on the market. Designed for minimal air restrictions, the Wind / Sun Deflector delivers more air than standard hoods used on today's poultry houses. 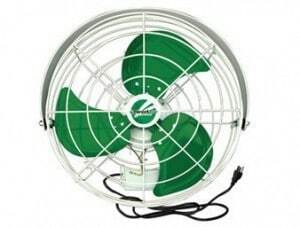 Another key to your ventilation system is the DirectAire Circulation Fan. 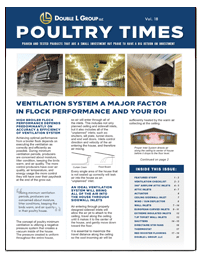 DirectAire 18", 20", and 24" Stir Fans are important in efforts to reduce costs and improve your poultry house environment during the summer and winter months. A circulation fan is used to break up temperature stratification and create more uniform conditions from one end of a poultry house to the other. A proper circulation fan system gently moves air across the litter while ensuring the birds are not being chilled. As that air moves across the litter, it picks up moisture from the litter to be exhausted out of the house. It is a very practical and efficient way to cut heating costs in houses drastically in the winter time, and also improve in-house conditions overall. Flooring is another key factor in optimizing the performance of your birds, whether they be chickens, turkeys, or poultry. Double L Group's Red Rooster Poultry Flooring is "the modern way" to provide a comfortable, sanitary, stable production platform for your chickens. Red Rooster Flooring creates the proper environment for your birds to develop their genetic potential for outstanding production. This leads to a better return on your investment. Browse through our Poultry Times catalogs to learn even more about Double L products and the poultry industry!